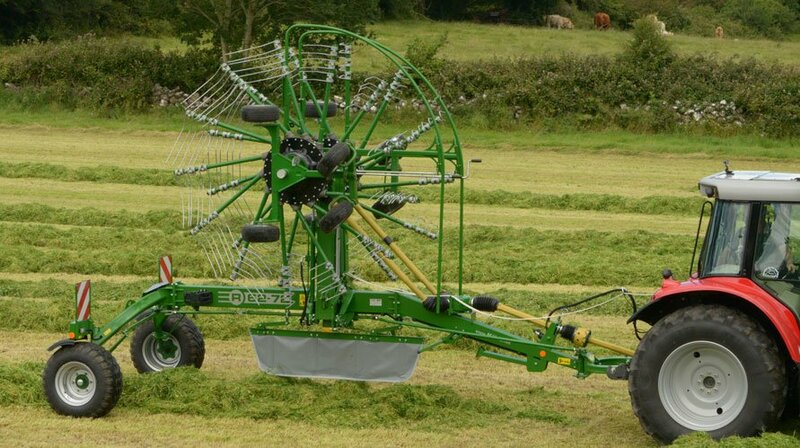 Building on their comprehensive range of grass machinery, McHale now introduce their R 68-78 centre delivery rake. 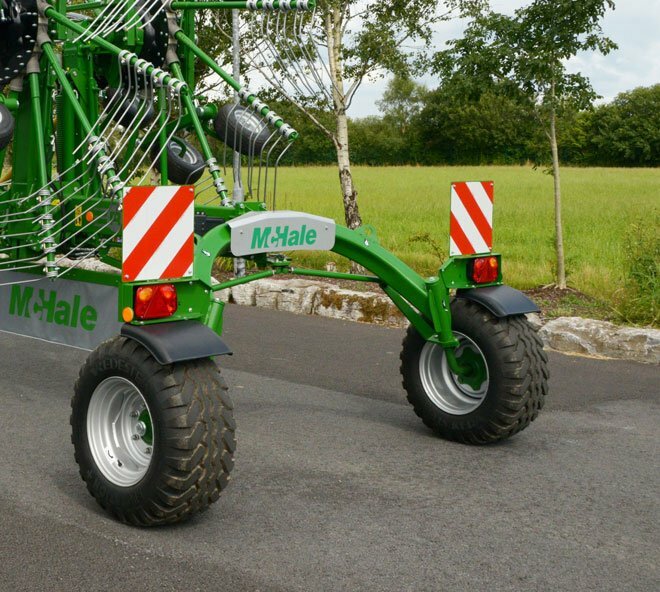 McHale rakes have been tested in the world’s most difficult conditions, in order to deliver a strong and robust machine, which is efficient and reliable in all terrain. 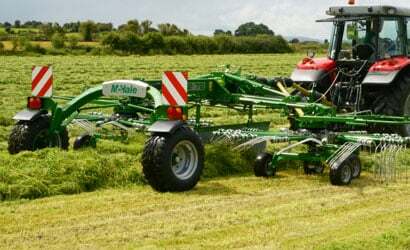 The McHale R 68-78 rake is an ideal machine for those who want to get the best quality fodder, by delivering an aerated swath. 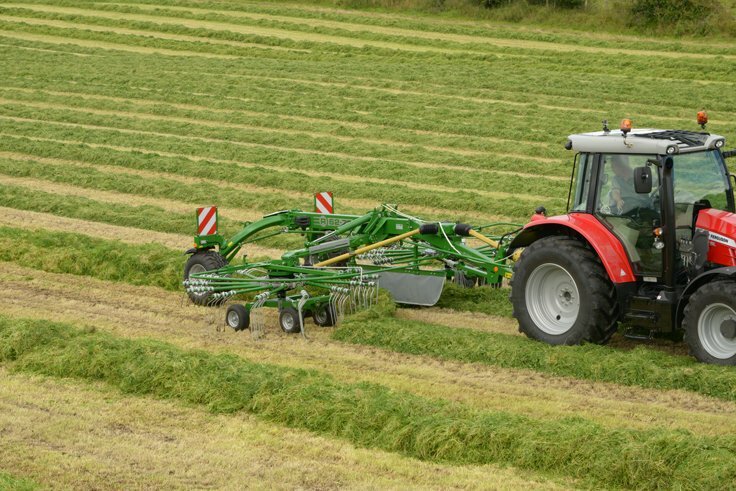 The R 68-78 delivers an ideal swath for maximum baling and harvesting output. 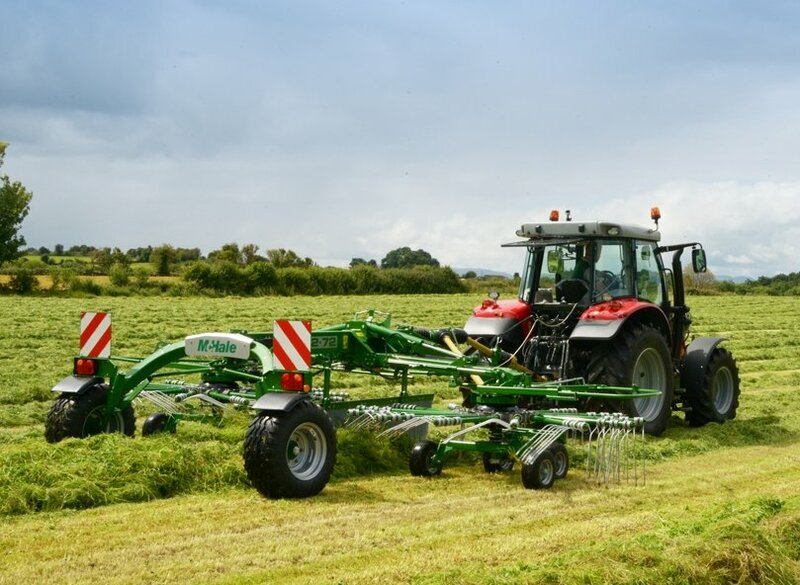 The McHale R 68-78 can be used to combine multiple mower rows or to row up grass, which is left on the flat. 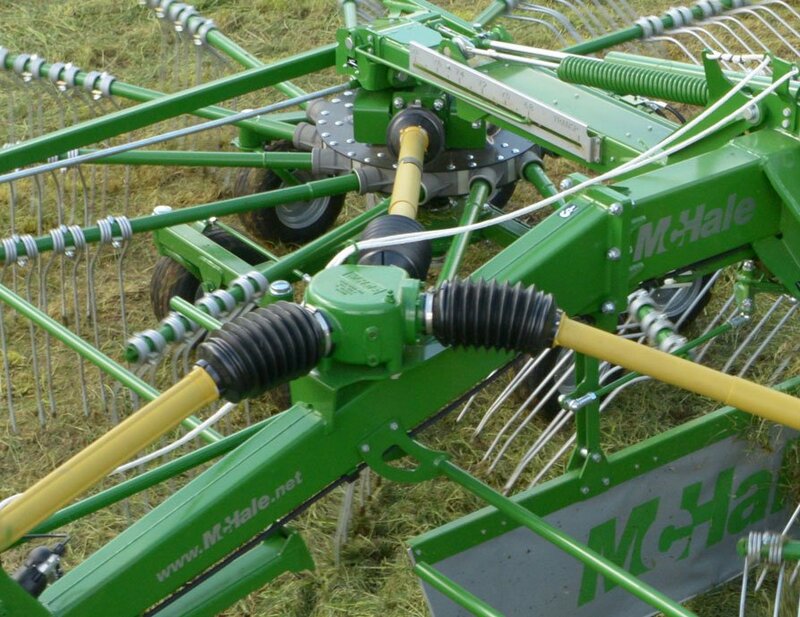 McHale centre delivery rakes are powerful but gentle on the crop, delivering the perfect swath preparation. 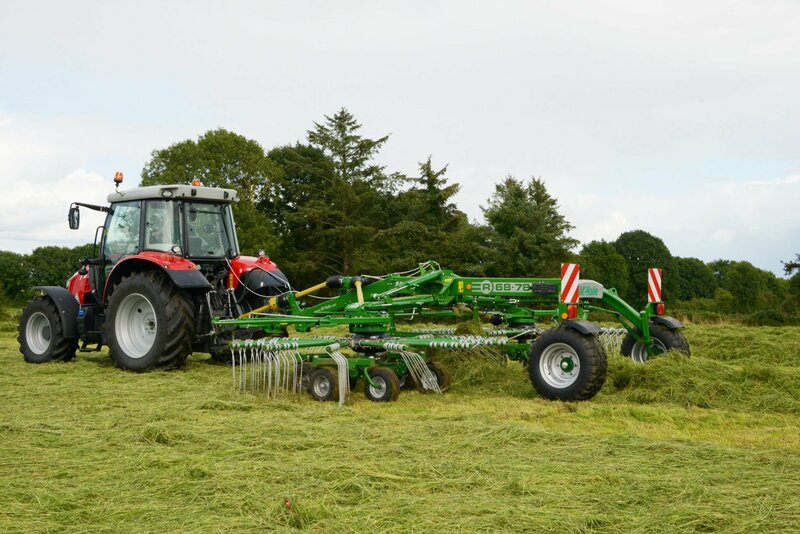 The rotors on the McHale centre delivery rakes are suspended centrally and both rotors operate at equal ground pressure across the adjustable working width to deliver the perfect swath. 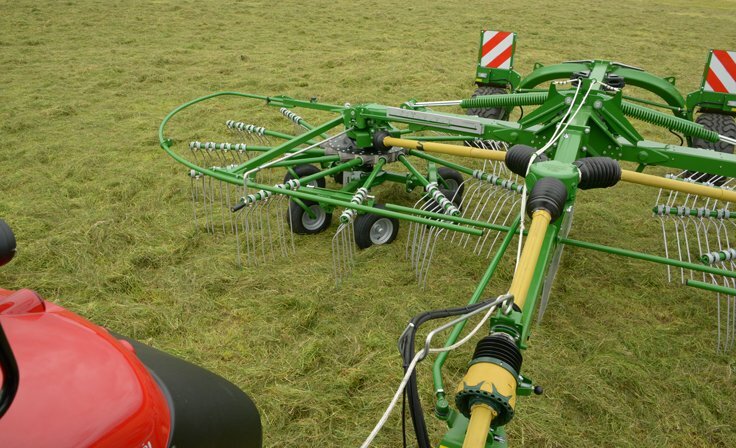 The McHale R 68-78 twin-rotor centre delivery rake offers a number of different working widths from 6.8 to 7.8 metres. 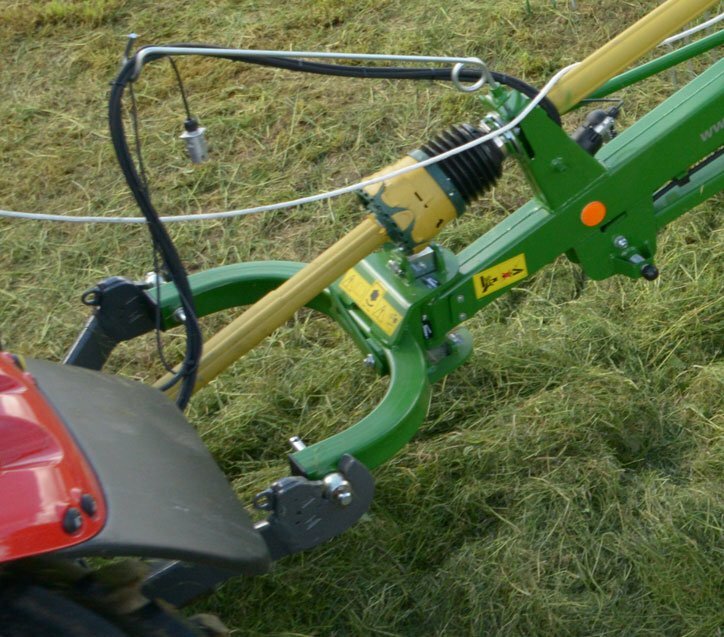 The variable working width is adjusted hydraulically from the tractor seat. 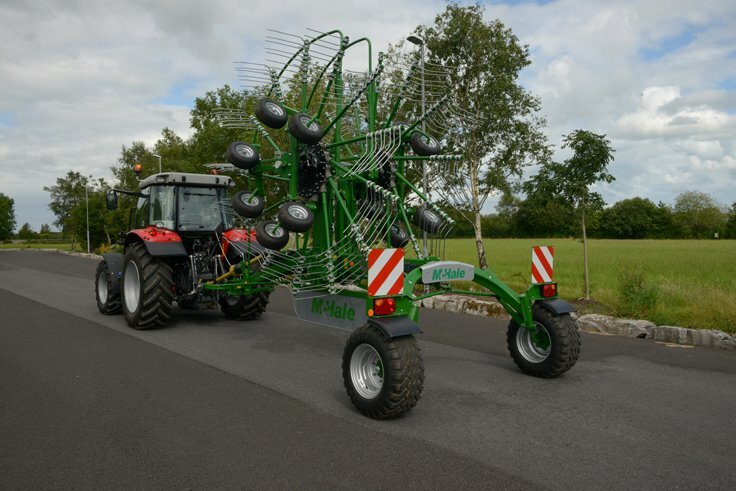 Each rotor is fitted with a Centralised Grease Block to allow greasing to be carried out quickly and efficiently by the operator. 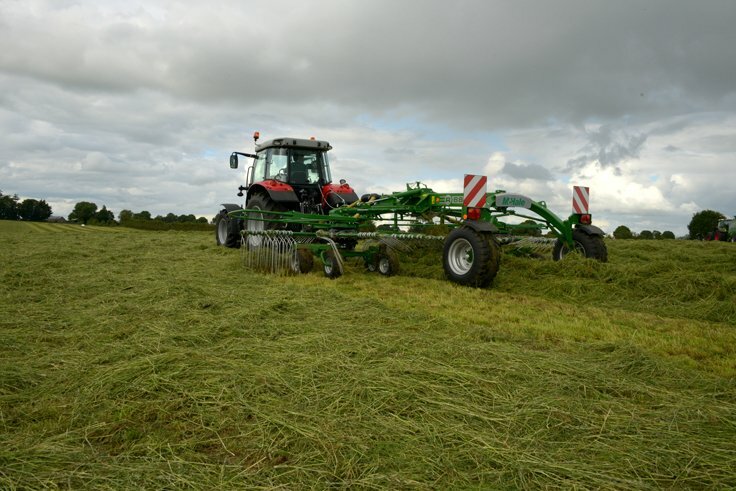 The R 68-78 is designed to deliver a tight turning movement and high output. 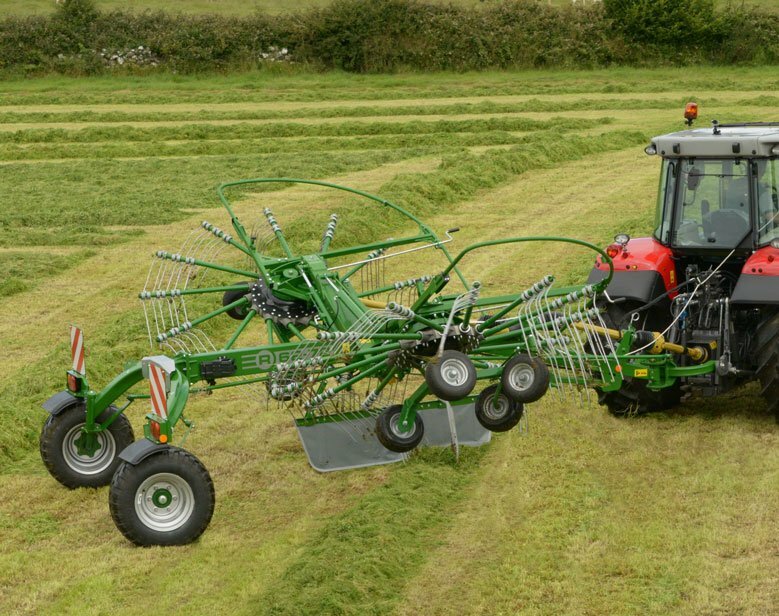 The low-maintenance steering system is effective in even the tightest turns. 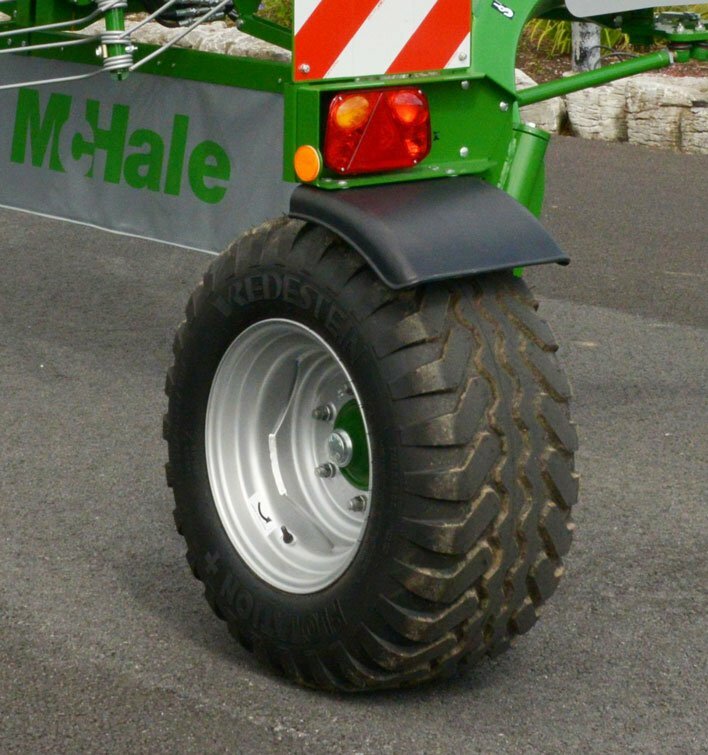 The McHale R 68-78 is equipped as standard with 380/55 -17 wide tyres, which give excellent stability on the road, while minimising compaction in the field. 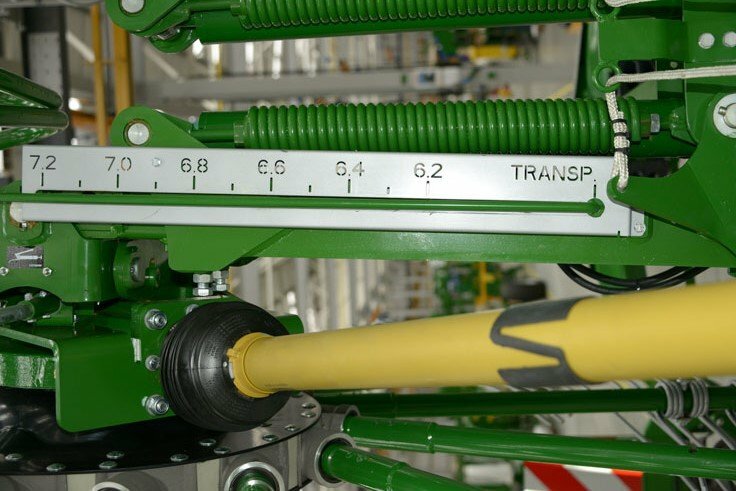 The transport running gear is approved up to 40 km/ h.